Mysteriously, this extra divider-line has appeared between any app I launch now and the previously launched apps? What is the purpose of this 2nd divider line? Why is it appearing now? How can I get rid of it? See this screenshot, with pink arrow pointing to the mystery divider-line. This is recently-opened applications, which is on by default in macOS Mojave. 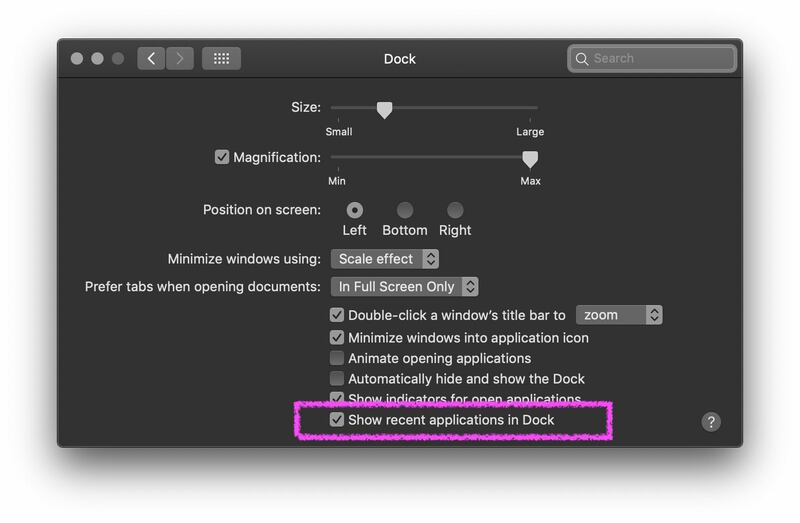 To disable, open System Preferences > Dock, and uncheck Show recent applications in Dock. Not the answer you're looking for? Browse other questions tagged macos finder mojave dock group . What is this line on my dock?